Written by Jody Houser. Art by Paolo Villanelli. 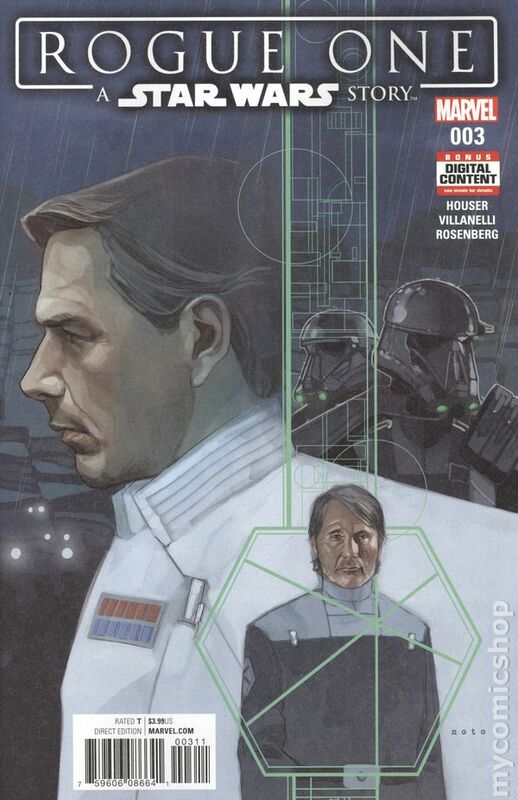 Cover by Phil Noto. Jyn Erso continues her quest with Cassian Andor to help the Rebellion fight the Galactic Empire. The team has located Jyn's father, Galen Erso - a Death Star scientist! But the evil Director Krennic gets their first…and he's out for blood! The Star Wars story continues! 28 pages, full color. Rated T Cover price $3.99.